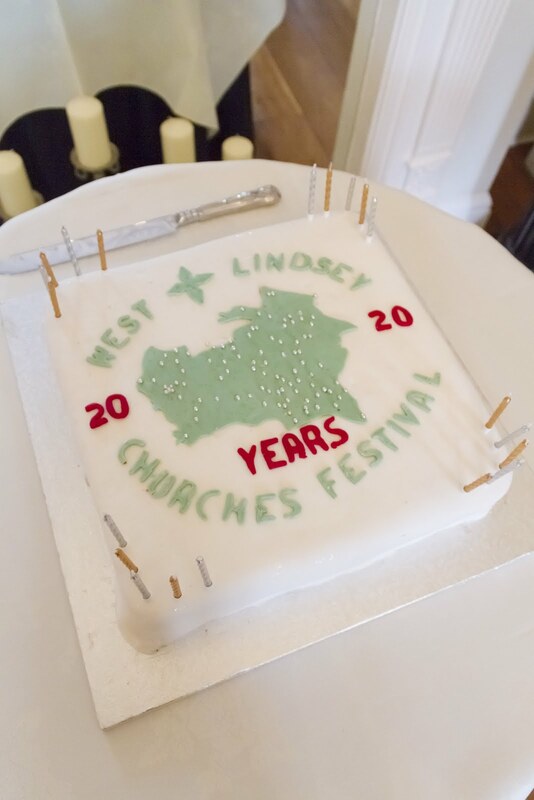 2016 sees the May West Lindsey Churches Festival celebrate its 20th year, in which time it has grown to become one of the largest open churches festivals in Europe. 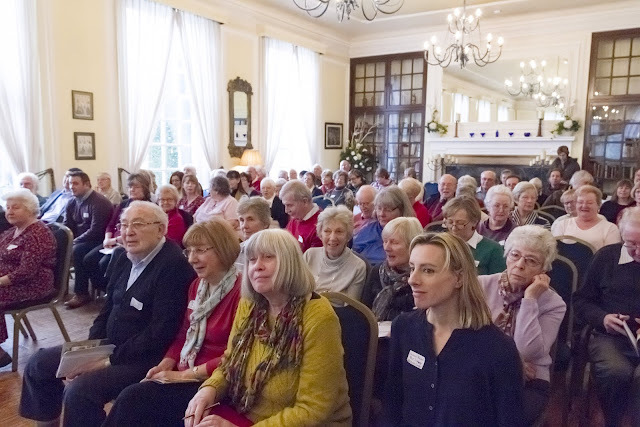 The 2016 festival has also achieved a record number of churches involved, with 94 taking part this year. The festival celebrated these two milestones at its annual conference on Wednesday March 9, where over 100 people will gathered, all of them involved in caring for these historic buildings and making the festival a success. Among the speakers were chair of the Festival Committee, Paul Howitt Cowan, Linda Patrick (festival brochure producer/editor), Angela Montague of Push Creativity (PR, social media and festival website), and Chris Robey, MD of Systematic Print (sponsors and printers of the brochure). 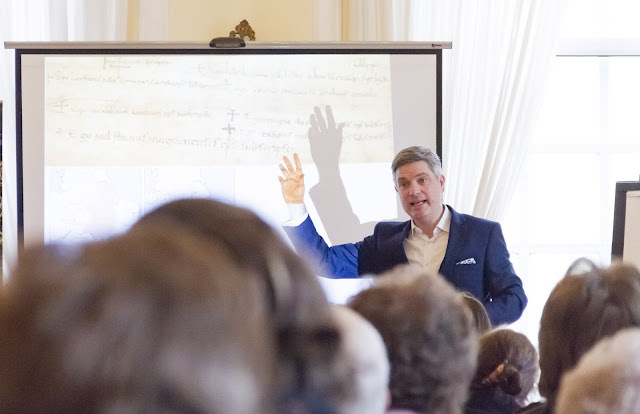 Giving an excellent talk entitled ''What mean these stones?' was the Ven. Mark Steadman Archdeacon of Stow and Lindsey. Mark Steadman 'What Mean these Stones? The fantastic keynote speaker was Dr Jonathan Foyle, who (according to his website) is an "award-winning BBC broadcaster, writes regularly for the Financial Times Weekend, presents multi-media interpretations at fascinating historic sites, and has explained the wonders of the historic environment to audiences from America to Australia (but usually closer to Amersham). 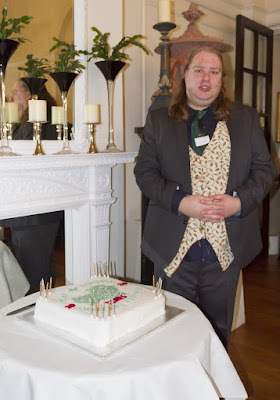 Author of two well-received monographs on cathedrals – Canterbury and Lincoln – he also draws a bit. You might come across him as Visiting Professor in Conservation at the University of Lincoln, or helping to bring old buildings to life as Director of the consultancy Built Heritage Ltd."
Festival chair Paul Howitt-Cowan commented: “Last year visitor numbers had increased by 1,536 to 7229, and volunteer numbers were up from 456 to 639 – 183 more. 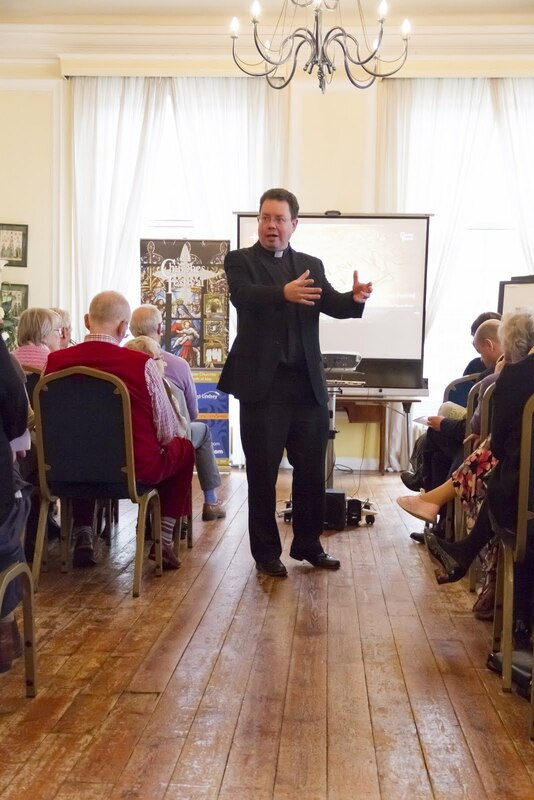 With a record 94 churches taking part this year, we hope these figures will go up again and I encourage everyone to get involved: these buildings really are little gems of heritage, scattered across Lincolnshire." 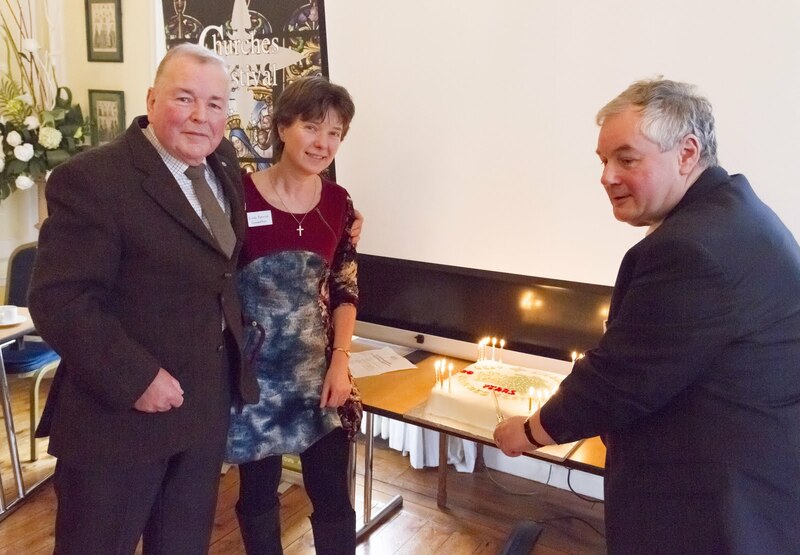 a celebration cake was cut by (left to right) Mike Gough (former chair) Linda Patrick (vice chair) and Paul Howitt-Cowan (current chair). 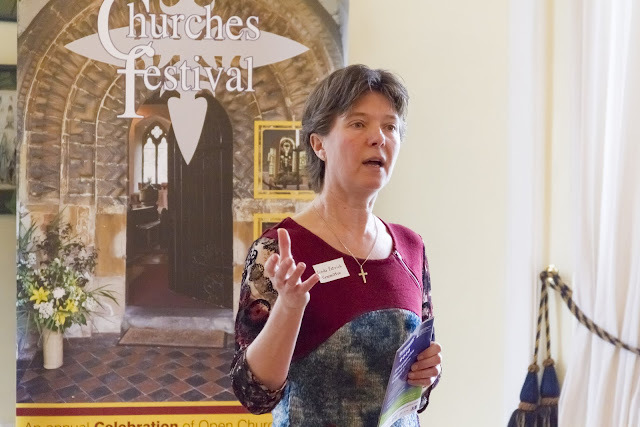 West Lindsey’s annual Open Churched Festival invites visitors to enjoy the rich heritage that each church offers alongside a host of activities including lunches, organ music, bell ringing, crafts, book sales, art displays and themed exhibitions. This year the festival takes place on 7-8th May - (churches to the East of the district) and 14-15th May (churches to the West).